Here it is! 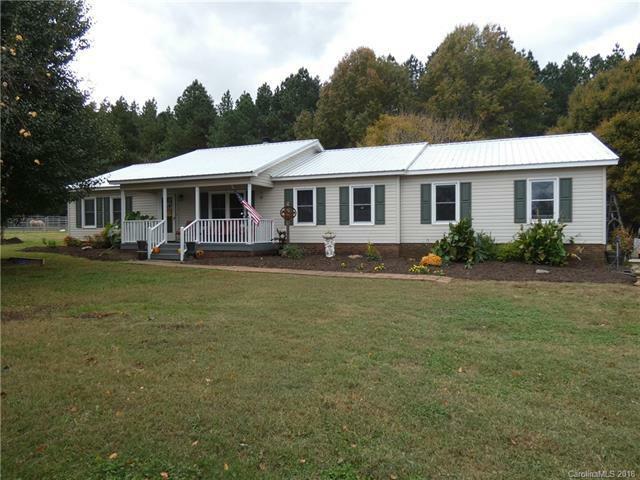 The small acreage horse property you've been looking for in popular West Rowan! Just over 2 acres, all open and level property, with a small pasture and barn, perfect for a couple horses, or plenty of space to add a huge shop for the handyman. Home has a lovely covered front porch, vaulted ceiling in greatroom with stone fireplace, split bedroom floorplan, spacious master suite, plus a bonus room/sunroom which could be a playroom or office. 2-car garage was closed off and door removed and is currently a dog grooming business but could easily be converted back to a garage. Not counted in HLA currently. Consisting of 2 lots so another home could be built on the extra lot in the future. Gorgeous new lifetime warranty wide-plank flooring in greatroom, dining, kitchen and breakfast, and new carpet in sunroom and spare bedrooms.